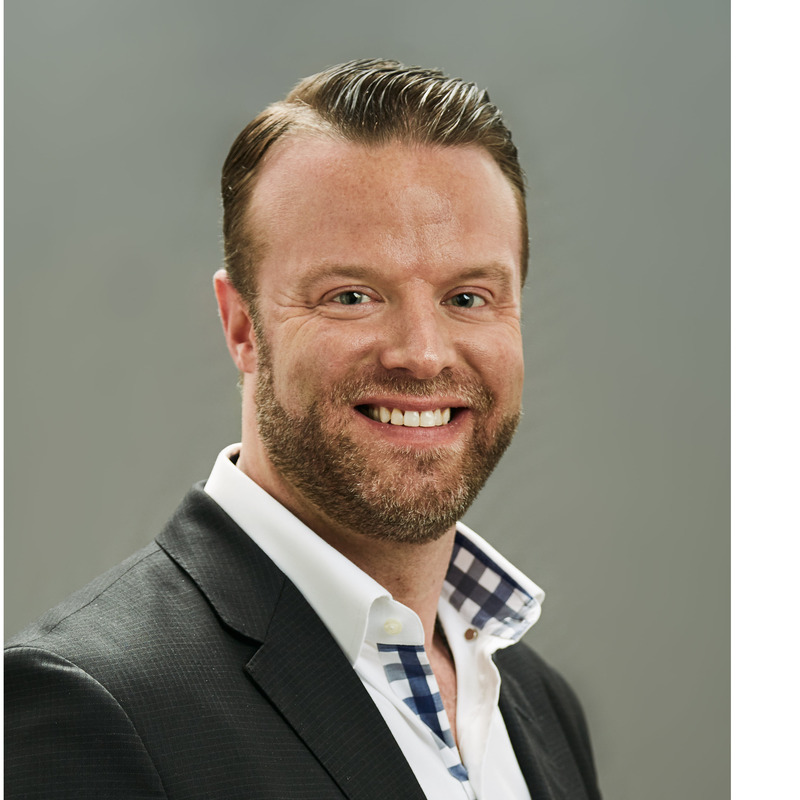 Jason Forrest, the CEO of Forrest Performance Group, grew his company’s revenue from $1.9 million in 2014 to $3.4 million in 2017, an 81% increase. Forrest Performance Group provides sales, management, and corporate training programs. Being really clear on how they are different from other corporate training providers along three dimensions. Creating a best places to work environment, as you can’t scale if you’re constantly losing people and hiring to replace them. Practicing what they preach in-house first, before offering it to their clients. Malcolm Lui: Welcome to the High Value Sales Show of Eversprint.com. I'm Malcolm Lui, the Managing Member of Eversprint, and today we're speaking with Jason Forrest, the CEO of Forrest Performance Group, a provider of sales, management, and corporate training programs. Welcome to the show Jason. Jason Forrest: Thanks Malcolm. Glad to be here. Malcolm Lui: Jason, you grew your company's revenue from $1.9 million in 2014 to $3.4 million in 2017, an 81% increase. Before we talk about how you grew your company so fast, can you briefly share what your company does beyond my quick intro, and how your company differs from the competition? Jason Forrest: That's a great question. So I would say the first thing is being really clear on on how we're different. And so those five things that's you know that's really that's how we're different that's our our brand strategy that we really focus on. And then I would say the second thing is I'm very big on creating best place to work environments. I think the one of the struggles that organizations have is there they're really seeking that fast growth but they don't create a best base work environment. And so because of that they have high turnover and if you have high turnover you can never really scale fast because you end up having to consider retrain your people. And so we're really big on on creating that we've actually won best place to work in Fort Worth for several years now and best way to work in Texas and different places. That's a big focus for us is that culture internal internal culture peace and then I would say the third thing that we're always focused on is just practicing what we preach. So one of the things that we believe in is you've got to eat your own dog food. So meaning anything that we tell our clients to do first we vet it internally. So I teach all the concepts first my own employees and to make sure that they work and if they work we can teach and other people and sell them which is really different. It sounds surprising but it's very surprising and different in the industry of consulting a lot of consulting companies are actually run very poorly they actually don't live by their own things that they teach and so that was a big big focus for us. Jason Forrest: And the third thing is it's an interesting concept because you know I'm a big fan that you have to sell yourself on kind of what you do and who you are before you can sell anyone up so anyone else and you know. And so I mean all of our employees I mean they're extreme advocates for what we do and who we are. And they really are advocates and that's because they they don't just work for a company that sells training. They they are a part of a company that trains them in the same ways that they are they're selling so they become believers of what we do and who we are. Jason Forrest: That's a great question. So one of the things that we have is what's called the brand strategy and there's there's really three elements to a brand strategy. The first is is what are you sought after for so meaning that what would people know if you had some keywords out there and people were to kind of pull you and say hey this is what this company is known for. What would that be. So for us it's programs. So it's training programs that truly change behavior and you know we're a part of the company's strategy. So they purchase a lot of companies you know they they hire training to kind of checking off a box with us. It's actually part of one of their key initiatives for the year or for the decade of how they're going to get to where they go. So we're sort after from that partner perspective but the second level down is is what do you want to be preferred by some preferred means. If if you have two companies doing the same things then why would one company kind of prefer you over other silly things like Coke versus Pepsi. You know they both do the same thing but one prefers one of the other. And so like in our case we we want to be preferred based upon our relevancy. So being really relevant to our client keeping the training videos updated keeping them focused and clear a lot of a lot of training videos and content was created 10 years ago and updated. Jason Forrest: I would say most organizations we start with don't even haven't even thought about it at all. Malcolm Lui: Right for your second driver creating a best place to work. How do you do that. Jason Forrest: Well so this was really interesting. So no I woke up one day when I was really growing my company very beginning. You know I went from myself. So I was able to do one point two million just by myself and an assistant. So and so when I wanted to really grow I had to bring on a lot of people. And so I was very fearful of that in the sense that or you know again another Jim Collins quote is he would say you know great leaders are productively paranoid. So you know Bill Gates and Steve Jobs and all of the great leaders out there they're productively paranoid in the sense of now here's what I wanna move towards where I'm paranoid there's gonna be mess ups along the way and so. Or another version that the optimistically cautious you know and so so I I wanted to make sure that everyone in my company believed what I believed. And so whenever you go from a social entrepreneur to a company owner the idea is that you know the biggest concern people have is why I'm not going to get Jason the more I'm going to get these other people. And are they going to take this as seriously as he has and they can get started about that. So my whole goal was how do I create a company where they can have any of my trainers or consultants and they don't feel like they're getting a less than or they're let down or it's not as good. And so you know we put a lot of energy towards that. So that one of my definition of or my being different definition of culture is what happens behind the boss's back. So when you think a culture people will say well a shared shared system of beliefs there's all kinds of definitions out there. Jason Forrest: A great quick. So so we do everything based upon the six human needs psychology. So it was actually originally created by Tony Robbins who who kind of was in a new version of the Maslow's hierarchy of needs and I have many certifications on National Practitioner and neural twisted programming I'm also a addiction coach. So learning how to get people off addictions and so there fortifications. But but in the six human needs psychology the idea is these are all primal needs that people have and and so what we do is we focus on how how to like how to create FPGA is a place that fulfills each of a person's six human needs. So for example the 60 Minutes our certainty. So how do we get. How do we make FPGA a safe place for them to work safe in the sense of their work environment. Who they report to their peers. How do they also have certainty and the leadership and the direction the company is heading. The financial stability of the company variety is the second one that's fun. So how do how to how can we have fun at work and make this place a fun place as well as how can we give them new new new opportunities to kind of change up their days so it doesn't get so routine boring. Jason Forrest: Number three a significance such significance is how can they feel like they are important. How do they feel like they matter their voice is being heard. It's very important for this connection so connection is you know they feel like they're connected the Vision Mission Strategy the organization they have. They have a vital friend at work. One are the questions we ask or not which is really fun. We actually do a lot of internal surveys and we ask the employees is there anyone at work that you talk to outside of work. And it's interesting because we've noticed the people who are are higher engaged with us are ones that actually have friends they've made that they still hang out with outside of work. And so that's really important. The fifth one is growth. So growth is do I feel like I'm getting better. I feel like I'm improving and being challenged and Alaska's contribution. Do I feel like I'm making a difference. Do I feel like from a is my is my contribution connected to what the company is trying to do. Malcolm Lui: It. What do you do to foster the connection side of things. Malcolm Lui: How do you get people to hang out after work outside of work. Malcolm Lui: Mm hmm. Yeah. Jason Forrest: And so that's a big thing in that. And so I think you have to be mindful of that and go How can I create a place and get my primary driver. When I first did it was I I recognized that as an entrepreneur I'm going to spend a majority of my life here and and most employers that most most human beings and a majority of their life at work. And so if that's the case why don't we do our best to create a place that people want to be at versus have to be at. And they look forward to going to and we do that. I mean we have we have. We. We hire interns all the time from the local college Texas Christian University. And we we they're constantly and they work for us. You've read the millennials work version free. And they talk about how most places you know you leave work to get away from work so you go enjoy your life. But we heard most the time that without soliciting them they'll say that that you know they like to leave life to come to work. Is it because they like work better than outside of work. Jason Forrest: Well I think to fight again step I would say some just run rolling on some steps you're about a step one is is you've got to define the kind of culture that you want. So that's again I'm speaking to leadership right now you're going to find that kind of culture that you want and be very clear on what are the values and the attributes the characteristics of that. I'm a big fan of the see hear feel language. So what do you want to see when people walk in. What do you want to hear people say about you know about the organization and how do you want to feel when you're in the room with people and and so just you know I think going through those exercises like that kind of creates a compelling vision and then and then to your point it would be hiring people who are onboard with that compelling vision. And then creating accountability around you know we're not going to get away from the standard. So like in our company we have people really love the you know the right people. This is why I always tell people that that you know you're your culture might not be right. So I best a best place to work culture it doesn't mean it's the best place to work for everyone. Malcolm Lui: Right. Got it. Malcolm Lui: Right. It's a good. I mean it is probably a better place somewhere else for them where they can thrive much more so. Jason Forrest: Oh man. Great question. I mean. I would say try not to be too general here. I feel like everything we've done. Everything I a lot of things that we do don't work in the initial version of them. But we end up finding ways to make them work. So let me give an example of one that was a little bit tougher in the beginning. So so one idea I had one time I was a part of this mastermind group called entrepreneurs organization. Are you familiar with it. Jason Forrest: Ok. If I say the word by saying the word Candy to you what do you say. What do you hear. Jason Forrest: So. So it just an example of you know we all have these maps these filters based on our programming. And if you can start to really understand that then you can start to empathize with them and be kind of respect people you know. So for example let's say you have a very positive relationship but can't you just in theory of observation can you think it's great. And I have a negative relation Candy. Well you know you might immediately judge me when I am. Kind of you know I don't want candy. I don't I don't eat that right. You're probably wondering why you so like George Bush about it about like being offered Candy. I just read about Candy you know and mean I'm not rude about it. I just purchased the negative programming to it that my automatic responses I don't have that in my life. Malcolm Lui: Yeah. No requires Google to open up a bit. Right. They need to be in an environment where they trust like you said that whatever they share won't be potentially used against them down the line. Jason Forrest: Is our that is our goal. Jason Forrest: You know progression. So I would say just dumb I mean the big thing for us right now is we're we're constantly expanding into new new industries and new markets. And so in order to grow that fast you know you need to be known into new places that don't know you. And so right now we're just trying to find the right the right marketing initiatives to enter in. And we actually do really well. I mean I would hope you do really well. Once we actually talk to the customers and we are in that kind of proposal stage and we're you know a person is looking for training and we're one of the kind of candidates and we actually do really really well in converting that we convert more than half those we're actually high conversion around that's the hardest thing for us. Those just penetrating the markets that we don't we don't we can't even get a conversation at the table. So that's that's our biggest trouble right now. Jason Forrest: Great question. So that the you know it was interesting is yes once they start talking to us they think it's really cool. And they're very interested in the conversation. But you know a lot of people we've we've struggled to somehow get people to talk to a to communicate the message from a marketing perspective where a person feels like we actually would have a solution to when. So no I earlier I said that stat 164 billion spent on training 70 percent fails. Jason Forrest: And yeah. And so we do send that book out a lot. Actually it's a little booklet takes you less an hour read it's very on of stories metaphors example stats and concept it's really easy to read. And so and I also have a free audio version of it as well that we send out to people and people can get a hold of and on our Web site at FPGA dot com and and so we do things like that to obviously build awareness and to start the conversation but you know I don't know we I don't I definitely mean maybe you have some insights where we but we definitely haven't cracked the code to get in front of the people if we can. Like I said if we get in front of them then we have a very compelling message to tell them and we can show them how we're a better use of the resources than the other companies they're considering. But it's just getting in front of them is the tough part. Jason Forrest: Yeah. So I I developed a formula that I've recently trademarked and it's performance equals knowledge minus leashes. OK so p equals K minus outperformance equals knowledge minus leashes really simple once you get to 10 years are great I think make a lot sense. So performance is what we see a person do. So let's go back to let's say we go to a seminar on learning the six steps to negotiate proper when it comes to contracts. Right. Always an important skill. And that's the knowledge. Well ideally they would use those six steps every time their negotiating situation which would be the performance side. We would see them do that and then we have success doing it. Well you have to minus out the leashes and the leashes are any resistance that prevents them from using those six steps 100 percent of the time. And there are four types of leashes the four types are one the self-image so self-image is I just don't see myself doing that. I don't see myself as a good negotiator. Like in that case that's the way they describe themselves. Number two would be reluctance his reluctance is are situational fears. Well I would use this these six steps when I'm talking to you know a person at my level but when you're talking to a person that's three to three degrees higher than me or has a higher intellect I don't feel as comfortable or friends and family I don't feel as comfortable so certain situations I don't feel comfortable using these concepts. Jason Forrest: Number two number three is the rules. So rules are really rules of engagement. So it's the if only as you know so I will use these six steps if only the following conditions are met. If only you know I've I've spent several hours with the customer if only I've talked to them multiple times if only the decision makers are all present I heard one recently from a salesperson that said they were taught from a previous sales trainer that before you submit a proposal make sure that you have relationships with three people at three different levels. So some you know at the functional level at the middle management level of the CEO. So that's a that's a rule. So they won't even do the six steps until they accomplish that role in the last one of the story. So story is external so the that would be like well the economy is not good right now or the market is not good or the reason why I'm not applying this is because you know the timing's not right. Malcolm Lui: Right. So you you wrote a book you're why training fails you WTS book. Great title by the way. And you came up with your concept of a p equals K minus L in school. I mean what you described as though some really interesting topic sounds like this some stuff I can learn from from reading up on the content that you have on those things. How do you come up with these ideas. Jason Forrest: Well it's a great question. So I think a lot of people they don't they don't have enough awareness of their existing resources so they feel like they're going to give examples. Yesterday I was coaching an executive I had a big seminar yesterday with about 50 60 executives from a four billion our company and I took this one through an exercise where he said You know I don't feel like I have enough structure to be a coach. And and so I asked I took it through a coaching coaching process on that. And then I start asking a series of questions. I said Well what do you what do you do. Currently that's working. And he said you're right we teach models the as well I do huddles and I said Great. So do the huddles work. And he says sometimes I said Well OK. Well how off do you do that. He told me as a well what what what parts of him do work. And he told me. And then I said what would be the ideal time to do it. He told me as a will do you coach your people. He said Yes I will. How do you coach them is the way I follow the process you taught. Malcolm Lui: Right. When I talk to you about a re what I had in mind when I was asking about people making better use of their resources when it came to my mind and perhaps I find it a resource that I have that I'm not utilizing investor's time. What's the best advice you give your clients in regards to making the most of their time. Jason Forrest: Ok so is a great question so I would say no one no one would be. What is your primary question. So in life in business everyone has a color is my primary question. They just don't realize what they what the question is. So so for example let's say if you are a CEO in charge of operations it would be. How do I increase the speed and profitability of my organization today. That would be your primary question. If it's me as a CEO it's how can I be leading edge today. So how can I push the company even further today and expand the horizons. If you're sales it's how can I move the sale forward today. If your sales manager how can a coach sell forward today. If you're marketing it's how can I bring in one more lead to that. So it's it's been really clear on what is your primary question as it relates to your individual role. I think that's really really really important. And then and then and then say OK well I'm going to operate off this primary questions if you want what's the first thing I need to do tomorrow. Malcolm Lui: Multiple years later. I had a question for you. Well you're talking about marketing and then we we started talking about some other topics that came off that discussion as well. But maybe I can bring you back to that a little bit. You talk about doing a bit of marketing trying to figure out that puzzle the challenge of connecting with your ideal clients and getting them engaged because you have a fantastic product and service is better letting them be aware of it. I took a bit of I take a look at your online marketing activities and for my tools it looks like you're doing a little bit of paper slick advertising but from a CEO perspective business is like you're making a huge investment out front. These are the tools that I have. What's your take on that. Jason Forrest: Great question. I guess I don't know. I had so many different competing perspectives on that. We've we we actually were much higher and ranking at one time. We did pull resources from that and did more kind of guerrilla warfare type marketing strategies that seemed to do better for us. But I don't I'm on the fence with that because you know I do feel like there's obviously value in and having a higher NCO ranking but at the same time I don't know if that's just for my own ego or if that's that really matters anymore. You know I just don't know. I struggle sometimes with wondering you know like even myself and I don't know who the right person to judge. But you know when I'm looking for something you know I usually ask people that I know what they would recommend before I just do a search for it. So I don't do a lot of searches on Google going you know whatever it is you know whatever thing I'm trying to defined. I don't I don't for some reason I don't use it as often you know. So I don't know the answer to that. I I personally think that we should put more money towards it. But the other people we've counseled said that they should we should put more money towards other things and there is none of my new around right. Malcolm Lui: I think I think some might write maybe not all of them but I think some will right. Your task with improving your team's sales performance and you're giving a budget to bring in a outside consultant or or training team to help with that. Yeah for sure you will perhaps ask your peers and colleagues and other people in your company who have hired other firms have done well and you probably would also type in a search and find others as well. So I think it's a good avenue. I haven't done the research to see if your competitors are using paper click ads but I imagine they are right. It's a good avenue to find people who want a solution right now at this very moment. Malcolm Lui: But I think it might not be the best solution for you in your particular case or there's so many different ways to engage people. Paper click ads are one way you know Lincolns and other snail mail cold emails cold calling television advertising in so many different channels. It's just a matter of getting in front of the people you want to go in front of and using a medium where they are. Malcolm Lui: Of their ideal clients. Yeah. Not what I expected but they generate a huge amount of new business from their own AM radio show because their ideal client still listens to a ham radio. So it's quite a surprise surprising insight that they shared some three last questions for you. Question number one if you had a billboard what would your billboard message be. And keep in mind most people only have six seconds before they drive by a billboard. So what's your message. Jason Forrest: I don't know. One comes up with a thing billboard stuff so you know change your beliefs change your life. I do like that. Change your beliefs change your life. Coach one coach everyone my train fails. Great question. I'm gonna be honest. I'm gonna work on that one. Malcolm Lui: I have to say you're a very you WTS title is awesome. Malcolm Lui: Yeah I mean not even that can be a great big word message. Right. Jason Forrest: Is a negative programming to that label that I've heard people say they know they were mad at me for writing the book. They can't read it because they can't have it in their possession. Jason Forrest: People need to lighten up a little bit right. Malcolm Lui: Definitely better. What's good about it is that people have these negative connotations to it but then they get surprised when it's totally different right. Jason Forrest: So are I ideal client our clients who want to bring in sales training as again part of their strategy that it's a commitment to them from the top down. It's something that they know will move the needle for them and they're going to take it seriously. That's our our ideal client. They can find us at FPGA dot com stands for forced performance group FPGA dot com and we also we also have a really great way to get to know us. Have a new book coming out coming out called The the the mindset of a worry of a sales warrior the mindset of a sales warrior it's forty three strategies on getting rid of those leashes as performance you will sell knowledge on leashes so letting go that resistance and the strategies on how to do that. All my coaching I've done around that and we have a master class where we teach it right now in a very very on a monthly basis and it's FPGA masterclass dot dark comedy then come in there and sign up for the master classes where we'll go through the strategies live but then also have recordings of it too and I also do coaching on there. So we have people that opt in for it be coached by me for 15 minutes of it and we use as a case study to help other people learn from it. Malcolm Lui: Yeah and it makes sense to it. If they're not willing to go ahead and commit and take action on what you're helping them it's it's really not in their best interest to continue in my opinion. Malcolm Lui: Yeah it takes time. It's not much smaller overnight sort of thing. No doubt no doubt about that. Jason Forrest: Thank you. I've enjoyed it as well. I look forward to sharing it with the audience. Malcolm Lui: We've been speaking with Jason Forrest, the CEO of Forrest Performance Group, about his company's rapid growth. For interviews with other fast growing, high value sales companies, or to learn how we can accelerate your firm's high value sales through automation, visit Eversprint.com. The above audio transcript of "Computer generated transcript - Forrest Performance Group Interview" was transcribed by the best audio transcription service called Sonix. If you have to convert audio to text in 2019, then you should try Sonix. Transcribing audio files is painful. Sonix makes it fast, easy, and affordable. I love using Sonix to transcribe my audio files.